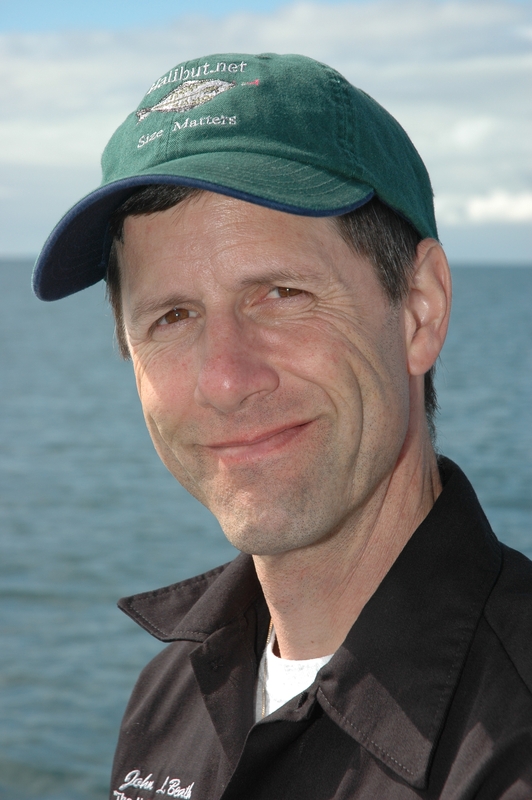 John Beath has been an outdoor writer for 25 years and past president of the Outdoor Writers Association of America. For six years he managed Rivers Inlet Resort in British Columbia and caught the I.G.F.A. 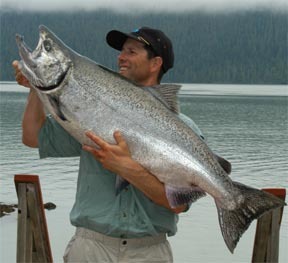 six pound line class world record Chinook Salmon, a whopping 51.25 pound fish shown on the left. Since catching his first salmon at tender age of eight, he has caught 14 king salmon over 50 pounds and two over 60 pounds. While in search of the world record king salmon on six pound test line, he filmed Secrets of the Pros, Whole Herring Magic and Trophy Salmon video. In addition to writing about salmon fishing, making videos on his http://www.YouTube.com/jbeath Channel, he also gives seminars at sportsman shows and fishing clubs. 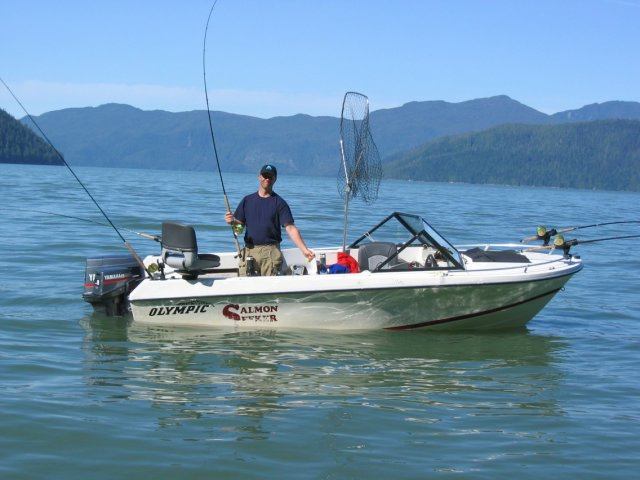 Listen for his fishing reports Sunday mornings on KIRO’s “On The Water” boating show. He and his wife also own SquidPro Tackle, based in Sequim Washington. SquidPro Tackle offers the Squid line of lures that John designed, tested and regularly fishes with. Check www.halibut.net for his line of fishing tackle. 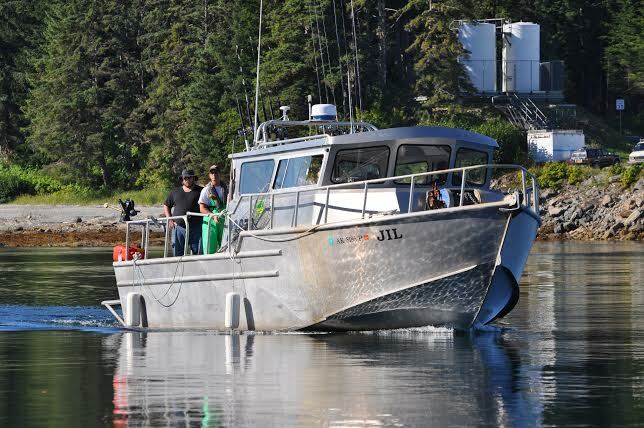 In 2013 Beath joined the Whaler’s Cove Lodge team, as Captain of the 32 foot vessel, JIL. Thanks John for all your hard work! I have basically given up on fishing in the Straits this year, a real shame as I am only 5 miles from the boat ramp at the yacht basin in P.A. As you have written, halibut is a joke now due to the fight to get the boat in the water. I have lived and fished in Port Angeles since 1977 and things sure have become unbearable. I have not purchased the WA license this year and do not see much use for one. I purchased a Canadian license this year and am now waiting for my passport to be delivered, then I will obtain the Nexus card. All this really irritates me as I am retired and was looking forward to many days on the Straits fishing the Humps and Green Point for both Chinook and Halibut. Now I have to shell out big bucks for gas to make the runs to “Border Bank”, Constance and nearby areas. Thanks WDFW for shoving your foot up my rear!!!!! I am finishing up a rebuild on my boat, a 22 foot Mako, darn, If I had of known what was coming I likely would have sold it instead if investing a lot of money in the rebuild. Almost done, I have to mount the new Yamaha T9.9 and it is off to Canada for me.